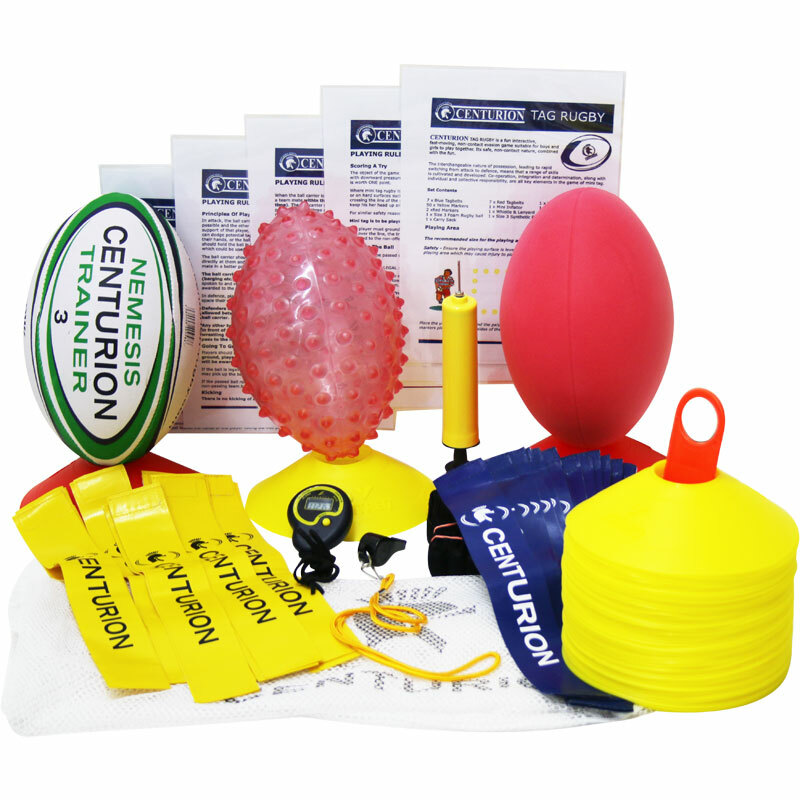 The Centurion Tag Rugby Development Junior Set is a fun, interactive, fast moving, non-contact evasion game suitable for boys and girls to play together. This kit is the perfect introduction to rugby. 14 x Junior belts fits up to 76cm (30") waist. 1 x foam rugby ball. 1 x whistle and lanyard. 1 x synthetic rugby ball. 1 x easygrip rugby ball.